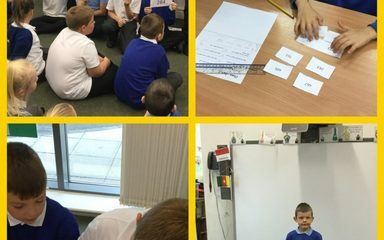 Year 3 have been solving difficult maths problems with our TALK IT, SOLVE IT activity. We were given a set of 8 different 2-digit and 3 digit numbers and we had to read the clues to help us find the ‘Mystery’ number. We used our knowledge of place value and number and explained our reasons carefully. It was a challenge but we had great fun and enjoyed being maths detectives!